I first became aware of Alexandra Jamieson while watching the documentary Super Size Me. 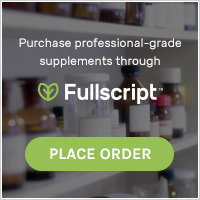 Due to her vast knowledge base as a professionally trained healthy gourmet chef and certified health and nutrition counselor, Alexandra was the right person for the job when it came to whipping Morgan Spurlock back into shape after he gorged himself on fast food for the documentary. She successfully accomplished the task at hand and that led to her book, The Great American Detox Diet. She has also penned Living Vegan For Dummies and Vegan Cooking For Dummies. 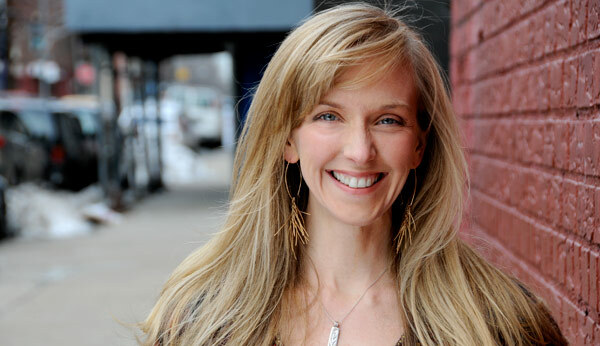 Alexandra Jamieson has been featured on Oprah, The Final Word, 30 Days and The National Health Test with Bryant Gumble, and the award-winning documentary Super Size Me. Alexandra is now married to Morgan and they have a young son Laken which gives her great insight into tips and tricks for getting young children to eat and enjoy healthy food. To learn more about Alexandra and the services she offers click here. Even though I stock my house with natural food, keep fresh fruit on the table at all times, and offer healthy snacks at every turn, my son sometimes turns his nose up to my offerings. I’ve noticed that Laken refuses beans in almost every state lately. He’ll eat lentil soup, but when presented with home cooked chickpeas, sauteed pintos or black bean soup, I invariably hear “I don’t like beans, Mama!” This is a little upsetting because I think he needs beans on a regular basis for protein and minerals. Eating a variety of beans provides iron, potassium and zinc, and I don’t like to feed him soy every day. Yes, he eats some tofu and organic, unsweetened soy yogurt, but I would rather not go overboard on the soy products. I’m going to assume it’s just a phase – just like the four month stretch when he decided he didn’t like avocados anymore. Funny, he happily devoured avocados daily for 2.5 years, then one day decided they were no longer acceptable. It was probably my insistence that he “liked them before” that made him refuse. 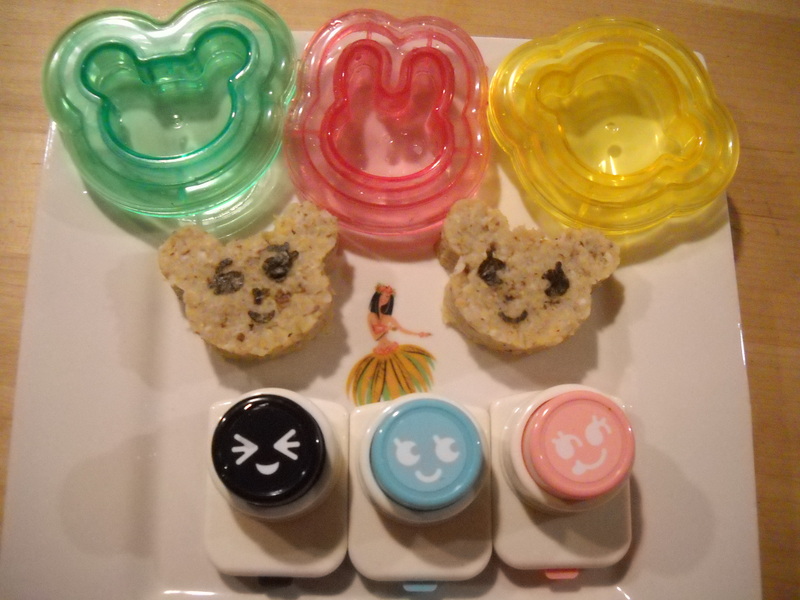 A few weeks ago I started making mixtures of veggies, beans and whole grains and pressing them into kid-friendly shapes using these awesome Japanese sushi molds and nori paper punches. If anyone knows how to make food cute, it’s the Japanese! – Saute the olive oil, garlic, mushrooms, and beans with a pinch of salt for 5 minutes over medium heat. I like to use a cast iron skillet which lends some iron content to the final dish. – Combine the cooked veggies, beans and grain in a food processor and pulse 10 times. – Press the veggie and grain mixture into the molds and hand pack them. Place molded animals on a plate and use the nori paper punch to create mineral rich nori eyes and a mouth. These healthy, yummy grain animals are a perfect snack or side dish with some steamed veggies. You can order sets like this by clicking here.